This musical revue of selections from Musicals of the 60’s is presented by the Portland Musical Theater Company www.portlandmusicaltheater.org (Deanna Maio, Founder & Artistic Director) at the above space in the Blackbox Theater, 415 E. Sheridan St., in Newberg. The show runs through February 4th and is directed by Deanna Maio—for more information on their upcoming productions, contact her company’s website. For tickets to this show, go to www.chehalemplayersrep.org or call 971-264-9409. It is said that, if you remember the 60’s, you weren’t there! The reference is made because of an emphasis on drugs from the so-called, counter-cultural events that happened during this period. But, perhaps, more to the point, a social revolution was occurring in which, if you were fully vested in it, meant really “Living It”, not just “Remembering.” We had coffee houses where people actually mingled and exchanged ideas in person and we had Folk Music, grass roots songs of the “unwashed generation”. Also we had Hair, on Broadway, which was one of the shows to reflect this change in Arts and Music. The ensemble also treat us to more medleys from Cabaret, Bye, Bye Birdie, Sweet Charity, Fiddler on the Roof and, of course, Hair, again, all about bridging the Cultures and the Past (seems to be a recurring theme, possibly something that could be relevant in these troubled times, too, what do you think?). As far as solos/duets, Rebecca Raccanelli is a powerhouse as Lisa doing “Much More” from The Fantastics and Deanna Maio and Zachary Gaumond do a lovely turn as the disillusioned couple with, “I’ll Never Fall In Love Again,” from Promises, Promises. Troy Sawyer has the right look and feel for his solo of the ever-popular, “What Kind Of Fool Am I?” from Stop the World I Want To Get Off. Ashley Moore has a great voice and she shows this in her solo of “Ice Cream” from She Loves Me. Gaumond (I swear he looks like a teenage, Ron Howard), again, shows his worth with his rendition of “I Believe In You” from How To Succeed In Business Without Even Trying. Andy Mangels is a perfect Don Quixote (and even looks like the character) with his booming voice proclaiming that he is the, “Man Of La Mancha” from the play by the same name. The male trio also does justice to the “Brotherhood Of Man,” one of my favorite songs, from the aforementioned, How To Succeed…. The ensemble does homage to such stirring songs as “Hello Dolly,” the famous, “The Impossible Dream” from …La Mancha, and the touching, “We Need A Little Christmas” from Mame. But the highlights for me, from an already super show, were the Violin solo (Raccanelli) from “Fiddler…” (personally, I could have stood to hear more of her beautiful playing of this); Kate Cummings is amazing in her solo of “Feeling Good” from The Roar of the Greasepaint, the Smell of the Crowd. She has the talent and singing chops and it shows very clearly from this song. Kudos! And, the crowning glory is the director herself, Maio, in her knock-it-out-of-the-park performance of Fanny Brice, singing the show-stopping, “Don’t Rain On My Parade” from Funny Girl. She is a pro and it shows! Also her direction and choice of cast for this show is, I believe, her best of the three she’s done. She is a dynamo as a producer, director, singer, teacher and all-around talent. Anyone planning to do Funny Girl in the future? If so, you don’t have to look any further than right here for your Fanny! This original musical…with puppets, is conceived and created by Sarah Jane Hardy (NWCT’s Artistic Director) and John D. Ellingson, directed by Hardy, with music and lyrics by Reece Marshburn and Marianna Thielen. It is playing at their space, 1819 NW Everett St., through February 26th. (Parking can be a challenge in this area, so plan your time accordingly.) For more information, go to their site at www.nwcts.org or call 503-222-4480. This is a fanciful frolic of our feathered friends finding love and beauty in fowl places. If you are a fan of Sesame Street or, on the other end of the spectrum, Avenue Q (and I am of both), then this “tail’s” for you, as it is told by puppets. And what a marvelous creation they are (designed by Ellingson with costumes by Mary Eggers (Rochon)! These active, avian actors tell their version of the classic story and even interact with the audience at times, much to the delight of the young ones (and I caught more than a few oldsters smiling, too). This fairy tale should be familiar to most of us. Once Upon a Time, in a kingdom far, far away, their lived a King (Andrés Alcalá) and Queen (Liz Hayden) who wished to celebrate the birth of their first child, a daughter, Rosa (Nelda Reyes), and so they invited the whole country (well, almost the whole land) to celebrate. Among the guests were three Fairies. The first one (Noelle Hughs) bestowed upon her the gift of beauty, both of body and heart. The second one (Verónika Núñez) granted her the gift of strength. And the third fairy (Ellingson)…but this was halted by the entrance of the decidedly, uninvited, Evil Fairy (Camille Trinka). She had had her feathers ruffled by not getting an invitation, so she predicted that by Rosa’s 16th birthday, she would prick her finger on a thorn, and die! But, fear not, all was not lost, as the third fairy, the Little One, had yet to bestow his present. So, unable to undo the curse, he soften it by allowing her to go only into a deep sleep, if this were to happen, and would be awakened from it by the kiss of her true love. Well, as the child got older, she was an avid nature lover and especially like roses (her namesake) but the King, fearing that its thorns would be her undoing, ordered all roses destroyed and that the fairies were to hide her away from temptations, deep in the forest, until her 16th birthday. I think we all know how this ends (although there is a clever twist in this olden tale) but, for the handful of you who don’t, I won’t give away the ending. And there are some additional characters that punctuate the story, such as the Big Boss Guy (Sam Burns), who seems to run the show; the awkward Princes (Annika Cutler and Henry Martin), who attempt to awaken the Princess; and the Narrator, (Martin Hernandez), who keeps the story moving along. All add much delight to the already fun proceedings. And, of course, there is also the wonderful songs and music: My favorites being “The Kings’ Decree” (Alcalá); “Afuera” (Reyes, also co-lyricist); “Thorns on Every Rose” (Trinka, Reyes & Songwriter? ); and “That Bird” (Cutler, Martin & Ellingson). All the cast have terrific voices, my special favorite is the “belter,” Trinka, as the Evil Fairy and the Diva. She has a voice and style that could easily be appropriate for clubs and concerts, too. Hardy has kept the familiar story moving and the interactions with the audience add much to the success of the show. But the crowning glory is those fabulous, feathered alter egos of the cast, the creation of those colorful puppets (Ellingson). He has created some stunners in the past for this company but these may be the best. My hats off to the cast, creators and songsters of this unique production. We are too short of things that inspire the imagination in these troubled times and it’s good to know that there are still these “safe havens” where, at least, dreams can flourish! This World Premiere of historic events in the Northwest, is adapted and directed by Chris Coleman (PCS’s Artistic Director) and based on a book by Peter Stark. It is playing at their space in the Armory, 128 NW 11th Ave., through February 12th (parking can be a challenge in this area, so plan your time accordingly). For more information, go to their site at www.pcs.org or call 503-445-3700. This is a story I knew little of, although my friend, Dave, who came with me, was all fired up to see it, as he did know something of this amazing tale. If you thought Lewis & Clark had an amazing journey (and they did) well, “you ain’t heard nuthin’ yet!” I’m sure everybody has heard of John Jacob Astor of fur-trading fame but did you know that Astoria, OR was named after him and for good reason. It seems that Astor (Leif Norby) and his wife, Sarah (DeLanna Studi), were German immigrants and, since our country, as we know it today, was settled by immigrants (current political leadership party take notice) who saw this United States as a Land of Opportunity, they ventured to carve out a piece of it for themselves. Although Astor’s original intent was to make his fortune selling musical instruments to the populace, he was eventually persuaded to take on bigger projects. Among other things he imported and sold tea, bought real estate, but finally decided that even more possibilities lay to the West in trading of furs. So he organized an expedition to go to the furthest point West of the U. S., the Columbia River, as he felt it was still unspoiled territory. But there was some questions as to whether a so-called Northwest Passage actually existed that extended the breath of this nation. So he hired various nationalities including French Canadians, Scots, Irish, Brits, Native Americans, et. al. and even, at a later point, Hawaiians. He hired one expedition to go by ship around South America led by Capt. Thorn (Ben Rosenblatt), a stern naval commander and his first mate, Fox (Chris Murray), a gentler sort. The differing nationalities often clashed, especially the hot-headed, hot-blooded Scot, McDougall (Gavin Hoffman) with his band of men including Mackenzie (Jeremy Aggers), McTavish (Nick Ferrucci), Stuart (F. Tyler Burnet) and Angus (Christopher Salazar). Many trials would be in store for this team including alien ships that threatened them, storms, lack of food/water, mutinous behavior, desertion, and loss of life, as the attempted to discover a way in to the channel when reaching the Columbia River. The other team was led by the businessman, Wilson Price Hunt (Shawn Fagan), uneasy as the leader of the pack, who was to traverse Westward by land on foot, horseback and canoes. He had a French-Canadian trapper/scout, Pierre (Brandon Contreras) and his wife, Marie (Studi, again), a Native American, who often served as a translator when dealing with the native tribes. Among his group are Ramsay (Benjamin Tissell) his friend and confidant, McKay (Christopher Hirsh), a writer, and others (Shaun Taylor-Corbett, Michael Morrow Hammock, and Ben Newman), that double for both ship and land crew. Both trips are frought with danger, excitement, death, humor, music and song and a sense of wonderment. A cast of 16 is portraying over 40 roles, much like their rendition of Dickens’ Great Expectations, all played on one set and enlisting the audience’s aid in imagining the settings. The style is very much like story-telling, in which the actors not only play individual but multiple characters but also do much of the narration as well. Personally, I like this type of theatre, as it has the viewer enlisting their imagination in processing the story. That way it becomes more real to you, as you have put something of yourself into the mix. And they are a terrific ensemble! Norby is a mainstay in many shows around town and is again good in this. Hoffman, also, has been seen in many local shows and is always worth watch. And, a personal note, I reviewed Studi in OSF’s “Osage County” some time ago and she was great in that. She is the niece of the fine film actor, Wes Studi, and obviously has talent in her blood for acting. She, again, is definitely worth watching, also. Coleman has done an outstanding job of bringing this epic story to life (and, remember, this is only Part One). His use of space to tell the tale and casting and developing the story so that it is always clear as to who’s who and what’s happening, is a tribute to his skill as an artist. And he, with his amazing designers, Scenic, Tony Cisek; Lighting, Diane Ferry Williams; and Costumes, Toni-Leslie James have done justice both to the book and history, as it’s now a living testament to the courage, stamina, and power of people who strive to expand knowledge of our ever-changing, ever-challenging, world. People who have the talent for acting are born that way. You can’t teach “talent,” you either got it or you don’t. You can teach the “craft” of acting/writing but not the natural artist who creates it--that flows from within. That person is often directed by a Muse, or guiding spirit, who can be very demanding/draining on your time. Art is a cruel mistress, for Art, if it finds you worthy, will guide your course. If so, pray that you have the stamina and passion for it, for the path is long and frought with daggers but the true artist will stay the course. In my opinion, Comer has that gift! The show is sprinkled with photos, films, music (“The Entertainer” and “Sentimental Journey”) and ghostly voices, all adding to the early years of one, Jane Comer, passionate actress. Blake introduces the artist explaining that “the world is made up of many colors,” and the artist seems to run the gamut of that spectrum. We are, in part, formed by the experiences we’ve had in life and the people (relatives/teachers/friends) who have influenced us--in her case, a grandmother who worked in a house of ill-repute and a mother who gave her hope. Being raised in a rural environment must have provided the alone time needed for the artist in her to ferment and, when exposed to the community of education, she blossomed into declaring “I am an actress!” not necessarily a declaration that would win friends among the lemmings in her school but, by being willing to set herself apart from the established order, showed the courage and passion needed to be the artist she believed she was. And, in time, teachers were to encourage her in this pursuit. An identity was forming but it can be a rocky and somewhat lonely road because the Society, as a whole, does not regard the Arts with much value. But Passion will out and, although there were some major stumbles in her life, she always managed to pull herself up and, most importantly, never gave up hope. I know I did not go into many details of her story (as my own Muse has its own way of presenting material, as well) as I believe one should hear it from her own words, as she tells it much better than I could. I have only endeavored to give you a flavor of her tale and the impressions that I gleaned from it. Perhaps the reaction that was most telling was from a mother in the audience, who had brought her child, who she said would become fidgety after the first few minutes of watching a presentation of any kind. She said her child was in rapt attention for the entire 45 minutes of Comer’s show! Recommendations don’t get any more honest than that, folks. Comer has also written some books for Youth, which are sold through Amazon, a list can be found on her website, I’m sure, or look her up by her name. Another thought that my friend Chris brought up is, that this would make a perfect play to be presented in schools, as many Youth could identify with the struggles with identity and being an artist. I recommend this show. If you do choose to see it, please tell them Dennis sent you. This futuristic offering by Matthew B. Zrebski and directed by him is playing at their space at the Shoebox Theatre, 2110 SE 10th Ave., through February 18th. (Note: This is an R-rated production for some very adult material.) For more information, go to their space, www.theatrevertigo.org or call 503-481-8655. “…Good Lord Deliver Us!” as the phrase concludes except, in this case, the reigning Prophet, Garland (Nathan Dunkin) has more in common with the demigod of ancient myth, Abraxis, with two faces, being both demonic and benign, as well being a manipulator, depending on his mood. And, being his “Chosen People,” as Lorraine (Stephanie Cordell) and her husband, Hunter (Tom Mounsey) are, is as you’ll find out, definitely a mixed bag. For they live in an age, universe, that Time has forgotten and where anything can, and does, happen. As I can only tell you limited parts of the story, as I don’t choose to be a spoiler, I will try to give you a flavor of it. Kurt Vonnegut and such books as “Slaughterhouse Five” and “From Time to Timbuktu” do similar things with bending time and philosophies. Also the filmmaker, Richard Kelly (“Donnie Darko” and “Southland Tales”) also has dark visions and manipulates time. “The Rapture,” a film about the end days, would have much in common with this story, too. So, there are some points of reference for you in deciding whether this is your type of story. The tale is a journey of one woman, Lorraine, to discover the truth of who she is and what role she is to play in this brave, new world she has been awakened to. She is unceremoniously birthed into this strange place in the 21st Century having no memory of her past existence. She soon discovers that some of the world is inhabited by creatures out of a prehistoric, horror movie and seem to be cannibals. There is Coyote (Holly Wigmore) and Bobcat (R. David Wyllie), both on a chain-like tether only able to release their terror in limited ways. Then there is Woodwoman (Clara-Liis Hillier), who appears to be the leader of the pack and also more articulate than the others. They appear periodically throughout the play as a sort of demented Greek Chorus, nudging Lorraine’s memory in certain directions. The setting and messages are stark and dark but also a good learning tool as to where we might be headed. The set (Kaye Blankenship), the costumes/make-up (Kaia Maarja Hillier), lighting (Carl Faber) and music/sound (Zrebski) add immensely to the effect and success of this production. Zrebski is indeed in uncharted waters but, as I’ve mentioned before, they are others who have traversed this murky sea before. The cast he has chosen, I sense, is highly immersed in his vision and are all very powerful in their presentations and, I’m sure, are emotionally drained by the conclusion after almost three hours. Cordell as the lead is a very good choice as she takes you on the roller-coaster journey through her life, sometimes having sympathy with her and at other times in horror. Dunkin is always powerful onstage and his preacher is a little too uncomfortable for me (that’s a compliment), as he is eerily like some of the self-same characters I’ve seen in real life. And Hillier is a treasure in all she does onstage. She definitely keeps you guessing as to who or what she is. For me perhaps the most powerful scene is toward the end with the dialogue between Hillier and Cordell, two pros at work. And she is a damn fine singer as well, as is Nordman, who captivated me with her ballad about a girl name Hannah, beautifully sung. This is a show I recommend but with the reservations I’ve already mentioned. If you do choose to see it, please tell them Dennis sent you. Or, spouted in an angry teenage jargon of the 50’s (Rebel Without a Cause), shouting at his parents, Why don’t you say what you mean, “[She] says one thing and then [he] says another…and then you change it all around again.” Yep, in a crude way, sounds like some relationships I’ve known and witnessed. It’s not easy growing up in this period of time, being bombarded from all directions…peers, relatives, co-workers, social media, religious and political factions, telling you what to think and how to behave. But one thing seems to have remained the same, at least for guys, the unwritten moral code that says you don’t mess around with another guys/friend’s gal or wife, or ex-girlfriend or ex-wife. The penalty for such an infraction? : Loss of friendship, chastisement by peers, being shunned, or even bodily harm. In other words it’s a Big No-No! But this play, a sort-of comedy of manners, explores that dilemma. Finally, Bill goes to his sister, Cyndi (Kylie Jenifer Rose) and her lover, Nicole (Landy Hite) for advice from a woman’s point of view. How does he rekindle an old relationship with Vicki without braking the Male Code? Meanwhile, in the background, loom two other characters that will figure prominently into the story: Polly (Bethany Ziskind), the barmaid who knows all the participants involved and Dr. Bob (Dug Martell), a stranger who will only add more confusion to the mix. Needless to say, I can’t reveal any more without being a spoiler but I will say that there are a couple of surprises to anticipate. Does he crack the code? Check it out for yourselves…. The interesting thing about this male dilemma is that it does actually exist, this unwritten male code. So, fellows, when you see this play, you might feel you are looking into a mirror. Coker has that ability to breed a tale that is eerily too familiar. And, for the ladies, you might catch a glimpse of how the male psyche works, albeit in a limited area. Perhaps, through it all, a basic need for all humans is to love and be loved. An important note is that there is a little voice, a muse, inside you, that will guide your course. The tricky part is that it is hard to hear it through all the social babble that one must contend with in this so-call, modern, electronic age. Coker has done an amazing job of wearing at least four hats (producer, writer, director and lead actor) in this production and shines favorably in all these areas. He also has an able supporting cast that do equally well in their positions. Beside Coker (I love the asides he shares with the audience) I especially liked Koch, as Bill’s best friend, the outsider when it comes to love but a loyal friend, too. I also liked the projections of the various settings they appear in. Only suggestion is that, because of the cavernous space and no miking, some of the cast needs to project more at times. But, all in all, a good show worth seeing. The thriller was written by the Queen of mysteries herself, Agatha Christie, and this production is directed by Nancy McDonald, with assist from Laurence Overmire. It is playing at their space, 368 S. State St. in Lake Oswego, through February 12th. For more information go to their site at www.lakewood-center.org or call 503-635-3901. If Ms. Christie be the Queen of mysteries then Sir Arthur Conan Doyle is certainly the King. And their most famous detective creations, Hercule Poirot and Sherlock Holmes, are internationally recognized. Films of their works are really too numerous to mention. Death on the Nile, representing the adaptation of her novel, includes Poirot as the sleuth who sniffs out the plot, Peter Ustinov and David Suchet being him in two of these films. But, oddly, in the play adaptation of her work, she eliminates him from the plot. She also changes one of the murder victims from one character to another which, in examining the story, does make more sense. And, on this shimmering ship of sly suspects, she keeps an international flavor to it, with the English, Scots, French, Germans, Americans, and Arabs all represented. The time is 1937, the advent of WWII, on board the steamer, Lotus, on the Nile. With us for the trip are, a honeymooning couple, the poor but charismatic groom, Simon (Chase Fulton) and the wealthy and rather demanding bride, Kay (Tiffany Groben); her French maid, Louise (Mamie Wilhelm), who is a bit snotty; Canon Pennefather (Gary L. Anderson), a reverend and guardian to Kay, forever petitioning monies for the poor from her; Jackie (Sarah Jane Fridlich), the former lover of Simon and ex-best friend to Kay, who has been relentlessly stalking them. Also there is the Socialist American William Smith (Jacob Lee Smith), snubbing his nose at the rich and defending the common laborers of the world; Dr. Bessner (Scott Engdahl), a German medical man who resents the wealthy family that Kay belongs to and he feels they are corrupt; Helen (Lisa Knox) a very snobbish, rich socialite, who feels everybody is beneath her; her shy niece, Christina (Katie Mortemore), who is attracted to the American (and vice-versa); and various Arabs (Joshua D. Willis, Alec Cameron Lugo and Matthew Sepeda) aboard the ship to keep things running smoothly. As you can see from the descriptions, they all have motives to resent each other, either because of class and social positions, political differences, personal animosities and, the always present “root of all evil,” greed. Many of their stories, of course, are only “red herrings,” designed to throw you off the scent of who the murderer is, but they are done by an expert and so, to discover the culprit and how the killer did it, is always the challenge. I admit, being a mystery buff myself, she can usually fool me. Sometimes I can guess the who, but not the how or why. Such is it with this case. Happy Hunting! Miss Christie, as with her novels, does have a habit of overwriting a bit, because her stories are so intricate, she feels she has to disguise and/or explain her conclusions to the nth degree, so that the brain does become a bit weary. But such is the nature of her plots, which I happen to like. McDonald has done a masterful job of keeping everything moving to the extent that you don’t feel stifled by actually being in only one room for the entire play. She has also cast well so that each of the characters are distinctly drawn. And the spacious set by Max Ward and period costumes by Margaret Louise Chapman add immensely to the success of the production. Also, my friend, Christine, who was one of two people who came with me, was born and bred in England and so, I asked her, as to the authenticity of the accents. She and I both agreed that Mortemore (Katie), as the niece of Helen, with her Scot’s accent, was the most impressive. The performances were all spot on. Lewis as the reverend, having one of the more major roles, was very good at keeping the thread of the story going forward so that the audience is always on their toes as to who’s who and what’s what. Knox was delicious at playing one of those ole biddies you love to hate. And Fridlich, as the spurned lover, was good at traversing the map of emotions. All in all, a solid cast in an intriguing show, just the kind of story you’d want for a wintry, cold evening enwrapped in a warm, cozy space with friends. “This little light of mine…I’m gonna let it shine…” In this case, the “light” represents a ghostlight in a theatre which, through its rays, beckons safety for all within its range. In this time of turmoil in our Nation, it is good to know there are safe havens for all in need. Pope Francis has said that we should be building Bridges between cultures, not Walls. Ironic, isn’t it, the emphasis to rid our country of immigrants, when it is we, as immigrants, who built the country we now know as America. The only true natural citizens of this country are the Native Americans and History has proven how shabbily we have treated them! Shame on us! Artists, too, have always been maltreated in our country. At one time, in the not too distant Past, a sign that often was hung on various establishments, including saloons and rooming houses, stated, “No dogs or actors allowed!” (Actually I hold both in high regard). The Arts are almost always one of the first things cut from educational budgets, I assume, because you can’t quantify or measure its results. The fact that it builds character, self-confidence and teamwork in individuals, lets them walk in other peoples’ shoes and gives them a safe place to explore their inner feelings, seems to have escaped the notice of our learned leaders. And a Wall too near. January 12, 2017 – PORTLAND, OR. On January 19, Portland theater companies, including Portland Center Stage at The Armory, Artists Repertory Theatre and Oregon Children’s Theatre, will join theater communities across the country in hosting gatherings for The Ghostlight Project. Inspired by the tradition of leaving a “ghost light” on in a darkened theater for safety, artists and communities across the country will make or renew a pledge to stand for and protect the values of inclusion, participation and compassion for everyone — regardless of race, class, religion, country of origin, immigration status, (dis)ability, gender identity, or sexual orientation. ALL are welcome. Lighting events will happen at several locations in Portland. Details are below for events at Portland Center Stage at The Armory, Artists Repertory Theatre and Oregon Children’s Theatre. 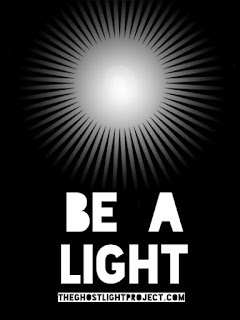 A full list of participating theaters in Oregon, and nationally, can be found at: theghostlightproject.com/participants. The Armory — joined by some of its longstanding community partners including The Giving Tree, Central City Concern, Playwrite Inc., and Theatre Diaspora — will host a lighting event in its main lobby with DJ Anjali on hand to play upbeat world music. Kelsey Tyler, director of education and community programs, will lead the pledge ceremony. Lights will be provided and attendees with cell phones may also use their phone lights. All are welcome. Artists Repertory Theatre will host a Ghostlight Project gathering that will include patrons, community partners, Resident Artists, along with Resident Companies in the ArtsHub. The event begins at 5 p.m. in the Morrison Lobby. At 5:30 p.m., we will illuminate Artists Rep’s enduring beacon of light at the theatre. We will stand in solidarity valuing the inclusion and recognition of all people and in resistance to intolerance of any kind. Artists Rep will pledge our commitment to serve as a sanctuary. All are welcome. Oregon Children’s Theatre will gather for a 10 to 20 minute observance at dusk. All are welcome to attend the ceremony, which will take place on the sidewalks outside Oregon Children’s Theatre, with a candle, a flashlight, a sign saying Be A Light or All Are Welcome, to help emphasize the value of compassion, connection and community. Attendees are invited to join us for refreshments following the ceremony. Gather at 5:15 p.m. | Lighting Event at 5:30 p.m. | OCT Studios | 1939 NE Sandy Blvd. Bless all those people who have initiated this Project here and for all those who will take heed and follow the need to form a more “perfect Union!” Please feel free to use my “little light, Anthem, as you will. “All the World’s a Stage…” and we, as Players upon it, should see that our Voices are heard!